Marylebone High Street has to be one of my favourite places to have a stroll. It's upmarket without pretension. There are perfect pubs, great boutiques and mews on either side that just demand a little detour. Regent's Park is at one end, The Wallace Collection at the other and in between lies Orrery. What more could you want? Originally the Burton Stable, the building now boasts both Conran's and Orrery. 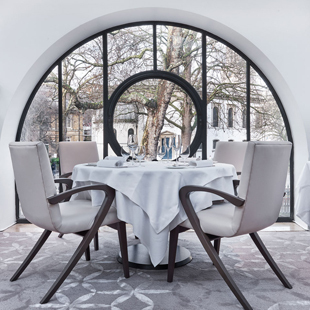 One flight up, the restaurant gets the benefit of the magnificent arched windows overlooking the high street. It's the epitome of 'light and airy' and gets even more so up on the terrace, sadly not open in March when I went. London! Everything but the weather. I shall return on a balmy summer evening …if we have one! From the moment you walk in, you know you will be well looked after. Anthony Schepper guided us through the meal with charm and confidence. The sommelier paired our wines with the exuberance of someone who obviously enjoys pouring enjoyment! We had excellent wine throughout the evening, ranging in price from £10 – £20 per glass. The first, Francinet Remy Brut set the tone. Very dry, soft mineral and a touch of apple. Elegant. Great with the soft warm bread and salty butter that arrived seconds after. 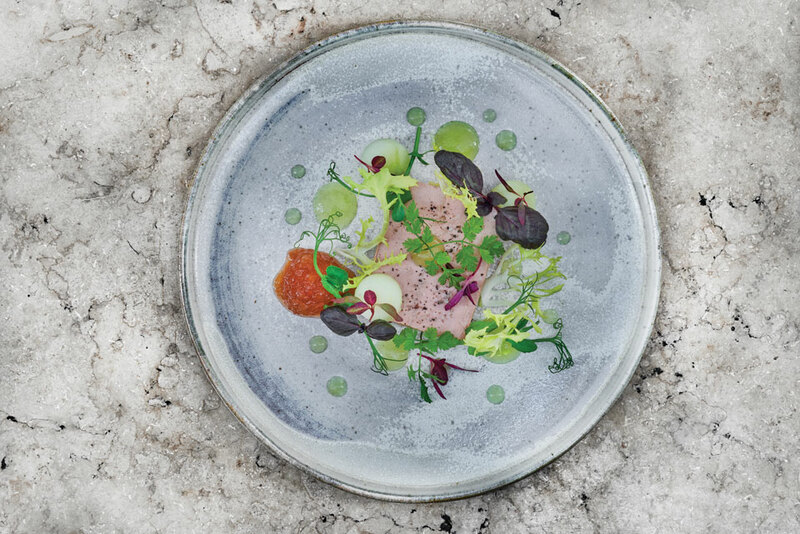 The à la carte menu is priced at £54 for 2 courses and £59 for 3 with a £10 supplement for a cheese course. Of course I did. It's my job!!! Dorset crab with wasabi avocado and mango had everything. Colour, texture, sweet, sharp and zing. The crab was fresh and plentiful and it was beautiful. A fascinator on a plate. Next came dish of the day. Potato and truffle ravioli with wild mushrooms and butter emulsion. Al dente parcels filled with soft, silky spuds and the earthy taste of truffle. Starch heaven. Tournedos Rossini with celeriac and sauce périgourdine (more truffles) was another delight. The meat cut like butter but came medium, rather than medium-rare as ordered. I ate every bite anyway. Seabass with wild mushrooms, beetroot, horseradish and chive was well prepared and had a good balance. A glass of 2013 Crozes Hermitage, Les Hauts du Fief, C. de Tail was the highlight of our pairings. Not quite at its peak but full and rich with velvety tannins, cherry, spice and a lasting finish. Perfect with the beef. I left a bit for cheese. Silly me. There was 20 year old Graham's port for that! 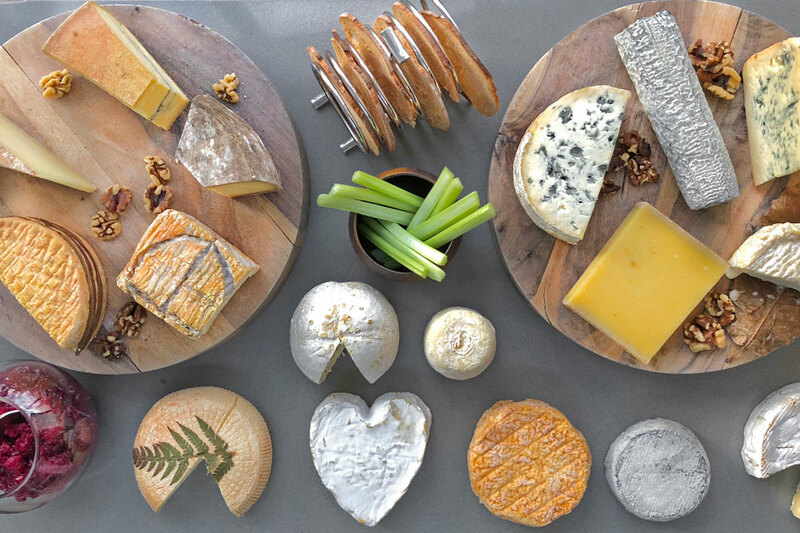 What a treat with a selection of cheese from the extraordinary Orrery trolley. The Fourme d'Ambert was out of this world. Rhubarb, rhubarb, rhubarb was more incarnations than I've ever seen on a single plate. The sorbet was excellent. Blood orange jelly, ginger and orange sorbet won the prize. Soft and smooth with sharp citrus and a bit of heat. A Coteaux du Layon Chenin Blanc dessert wine was a delightful match. The thought has me longing for another stroll in Marylebone.